Tour Scotland Bagpipe Performance. Bagpipers performing in Dunkeld Square, Perthshire, Scotland. Highland Dancing at Birnam Highland Games, Little Dunkeld, Perthshire, Scotland. Tour Scotland Standing Stones Circle. The Croft Moraig stone circle, is located between Aberfeldy and Kenmore, Perthshire, Scotland. It is a megalithic site comprising three concentric stone circles. Croft Moraig translates from the gaelic as the Field of Mary. Tour Scotland Highland Stream. A Scottish Highland stream between Bridge of Balgie and Ben Lawers, Highland Perthshire, Scotland. Tour Scotland Olympic Medallists. Scotland's Olympic Medallist on on an open-top bus ride down the Royal Mile to Holyrood Park in Edinburgh, Scotland. Olympic triple gold medallist Chris Hoy, silver medallists Katherine Grainger, Ross Edgar and David Florence were also among those present at the event in the capital of Scotland. Tour Scotland Braan Water. A river of Perthshire, the Braan emerges from Loch Freuchie, to the west of Amulree. It then flows east through Strath Braan to join the River Tay at Dunkeld. At Rumbling Bridge, the river falls into a deep gorge. Tour Scotland John Knox House. The John Knox House is an historic house in Edinburgh, Scotland, reputed to have been owned and lived in by Protestant Reformer John Knox during the 16th century. The house itself was built in 1490, featuring a fine wooden gallery and hand-painted ceiling. Over the next few centuries many decorations and paintings were added, and the house and its contents are now a museum. The building is owned by the Church of Scotland and is now administered as part of the new, adjacent Scottish Storytelling Centre. Tour Scotland Edinburgh Festival Fringe. The Edinburgh Festival Fringe is officially the largest arts festival in the world. To become critically acclaimed at the Fringe, you either have to be funnier than everyone else, or you have to be doing something different. You have to be unique. Tour Scotland May Princess. The May Princess returning today from a boat trip to the Isle of May. These trips from Anstruther, Fife, Scotland, are available April to September. The Isle of May is truly a beautiful Island, very peaceful with stunning views all around, from the high cliffs and rock formations to the remains of a 12 th century monastery, build in memory of Saint Adrian martyred on the Island by Norsemen in the year 875 and three light houses including the oldest light house in Scotland, dated 1636. Anstruther Pleasure Trips. Tour Scotland Scone Palace Bagpiper, near Perth, Perthshire, Scotland. Bagpipe music at the entrance to Scone Palace, the original home of the Stone of Destiny and the site of the coronations of the Kings of Scots. Dunfermline Scotland Tour Guide. Dunfermline Abbey with the tomb of King Robert the Bruce and many other royal and historical associations attracts tens of thousands of visitors each year. Tour Lower Falls of Bruar, Perthshire, Scotland. These Scottish Waterfalls have been a tourist attraction since the 18th century and were immortalized in a poem by Robert Burns, The Humble Petition of Bruar Water to the Noble Duke of Atholl. Tour Scotland Bagpiper. A Scottish bagpiper at Blair Castle, Highland Perthshire, Scotland. Tour Edinburgh Tolbooth, Canongate, Scotland. The first Tolbooth was built around 1590, and was the centre of the burgh of Canongate, at the lower end of the Royal Mile. This building was built on a different site in 1879 and now houses the People's Story Museum. Tour Scotland Perth City Centre. Two young men busking today in Perth City Centre. Tour Scotland Country Road. The Murthly to Kinclaven road in rural Perthshire, Scotland. Narrow roads such as this are common throughout rural Scotland. Enjoy the drive ! Tour Scotland Holyrood Palace. The Palace of Holyroodhouse, often simply known as Holyrood Palace, was founded as a monastery by David I of Scotland in 1128. The Palace has served as the principal residence of the Kings and Queens of Scotland since the 15th century. The Palace stands in Edinburgh at the bottom of the Royal Mile. The Palace of Holyroodhouse is the official residence in Scotland of Queen Elizabeth II. Tour Scotland Heather. My small group tour of Scotland guests enjoying the Scottish Heather in bloom, today, in Glen Quaich, Perthshire, Scotland. Tour Scotland Elcho Beehive Doocot, Perthshire, Scotland. Tour Aberlemno Battle Stone, Angus, Scotland. A remarkable pictish stone which shows an encounter between two sets of warriors. One set, on the right, wear typical Angle helmets, while the others, on the left, have archetypal Pictish hairstyles. This Class II Pictish Stone is located in Aberlemno churchyard, north of Dunnichen, in Angus, and dates from around 500 AD. 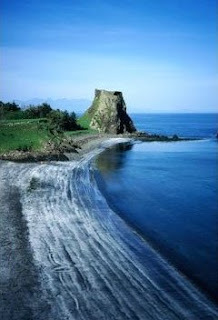 Tour Scotland on the best Small Group Tours of Scotland. Choose your wife with her night-cap on. There is meat and music here, as the fox said when he ran away with the bagpipes. The oar that's nearest at hand, row with it. Despise your old shoes when you get your new ones. There never was good or ill without a woman being concerned in it. The heaviest ear of corn bends its head the lowest. The fool may pass for wise if he holds his tongue. It is no secret when three know it. But the one that breaks its bones will not. Tour Scotland Perth Highland Games. The Scots School, Bathurst, Pipe Band practising at the Perth Highland Games. Tour Scotland Crail Harbour. Crail harbour, in the East Neuk of Fife, is one of the most photographed, and famous, Scottish Harbours. Tour Scotland at Low Tide. 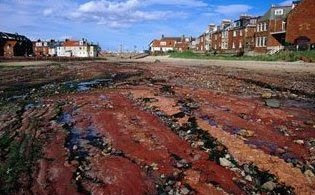 Seaside Resort Town at Low Tide North Berwick, East Lothian, Scotland. Seaside Resort Town at Low Tide North Berwick, East Lothian, Scotland, Scotland Photographic Poster Print by Glenn Beanland, 24x18 . Tour Scotland August Rain. Heavy rain today at Earshall Castle, Leuchars, Fife, Scotland. Tour Scotland Rannoch Moor. 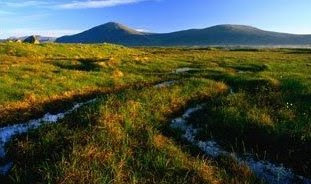 Peat Bogs, Rannoch Moor, Perthshire, Scotland. Peat Bogs, Rannoch Moor, Scotland, Scotland Photographic Poster Print by Grant Dixon, 24x18 . Tour Scotland Coroghon. The Medieval Prison, an Coroghon, on the Coast of the Isle of Canna, Scotland. The Medieval Prison, an Coroghon, on the Coast of the Isle of Canna, United Kingdom, Scotland Photographic Poster Print by Graeme Cornwallis, 18x24 . Tour Eilean Donan Castle Scotland. I should be visiting this castle in the next few days, and hope to get a better video than on my last visit. The island of Donan in Loch Duich has been fortified since the earliest recorded times. The remains of a vitrified fort and the impression of a human foot sculpted in stone are strong clues to activity here as far back as Iron Age times. The island and the castle take their name however from the seventh century missionary Donan who went calmly to his death on Eigg in 618 AD once his pagan executioners agreed to first let him finish Mass. The earliest records of a castle here date from the mid thirteenth century, at the time of the Norse withdrawal from western Scotland following their defeat at Largs in 1263. Alexander III is said to have given Eilean Donan to a warrior called Colin MacCoinneach, or Mackenzie, who had excelled in battle against the Norse. Ownership of the castle was then disputed between the Earl of Ross and Clan Mackenzie for some decades. According to tradition, the Mackenzies wisely befriended Robert the Bruce and sheltered him at Eilean Donan after his defeat at Dail Righ in 1306. The Mackenzie reward came in time from David II in the form of a charter confirming their ownership of the castle and its estates. However the clan most closely associated with Eilean Donan are the Macraes who acted as Constables there for the Mackenzies, earning the nickname 'Mackenzie's coat of mail'. The Macrae's had a fearsome military reputation earned in bloody combats such as the Battle of the Park in 1488 where Big Duncan of the Battle Axe slew the champion of the Macdonald Lord of the Isles. After that the Macraes had to repulse several onslaughts upon Eilean Donan by Macdonald warbands. Duncan Macrae finally settled the feud in 1539 when Eilean Donan was encircled by a Macdonald fleet of more than fifty warships. Macrae's arrow hit the great chief Donald Gorm Macdonald of Sleat in the foot, severing his artery and hastening his death at nearby Avernish. More devastating weapons were available when Eilean Donan was briefly the centre of European affairs in 1719. The Spanish Crown agreed to try and restore the House of Stewart and a detachment of 300 Spaniards landed in Kintail to garrison Eilean Donan. In May three English frigates sailed into Loch Duich and pulverised the castle. Eilean Donan remained a ruin until the early 20th century when it underwent a remarkable transformation at the hands of John Macrae-Gilstrap who masterminded its renaissance as the most photogenic castle in Scotland. Tour Scotland The Mediaeval Castles of Skye and Lochalsh. 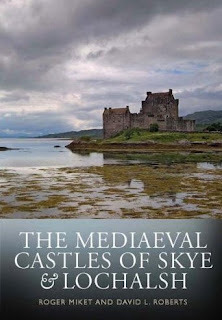 I will be touring the Isle of Skye this week with four American guests and will be taking this book with me, as it really gives a thorough account of the medieval castles around the Isle of Skye. The castles of Hebridean myth and story are brought to life in this scholarly yet easy-to-read book. Roger Miket explores the history and architecture of the settings associated with blood-curdling dramas such as the murderous goings-on at Dun Sgaith or the far-fetched yarns of Saucy Mary and Cú Chulainn. Many of the castles are shown in reconstruction and all the architectural descriptions are fully illustrated making them clear to both expert and amateur historians. Together with the earlier broachs and duns, the castles are the principal material survivals of the great pageant of Hebridean history. Mediaeval Castles of Skye and Lochalsh . Tour Scotland Perth Show. Perth and District Pipe Band playing Highland Cathedral this afternoon at Perth Show, South Inch, Perth, Perthshire, Scotland. This annual two day Scottish agricultural show has something for all the family including Trade Stands, Craft and Food Fair, Competitions, Exhibitions and Rare Breeds Tent. 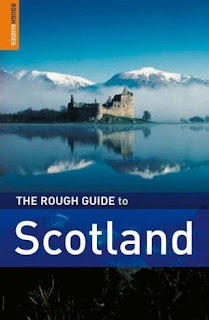 Make the most of your time with The Rough Guide to Scotland, your ultimate companion to this stunning country. The full-colour section introduces Scotland’s highlights, from the spectacular wildlife of the Hebrides to the deserted golden beaches in South Harris. Explore the cultural quarters of Glasgow and Edinburgh as well as the open spaces of remote glens, windswept Scottish Hebridean beaches and architectural masterpieces. Read more here. Tour Scotland St Andrews Coastline. 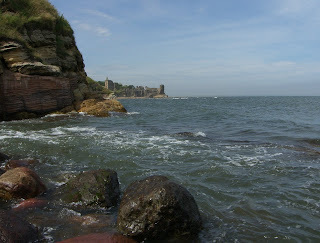 After a very misty morning, this was the coastline at St Andrews around 2pm. By 4pm torrential rain had swept over the ancient city.